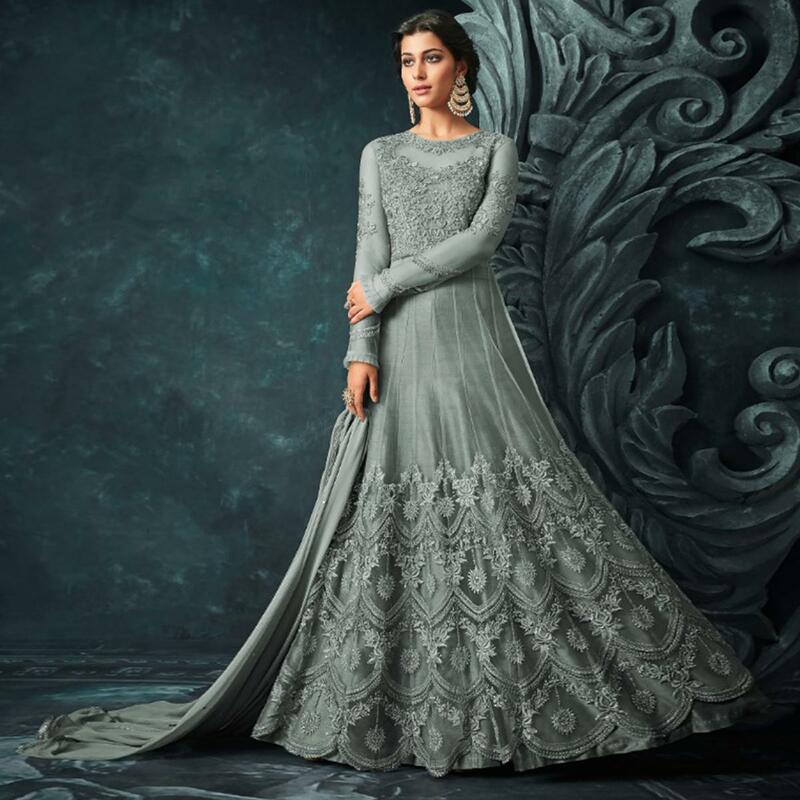 Real elegance will come out of your dressing style with this grey colored soft netted floor length anarkali suit. 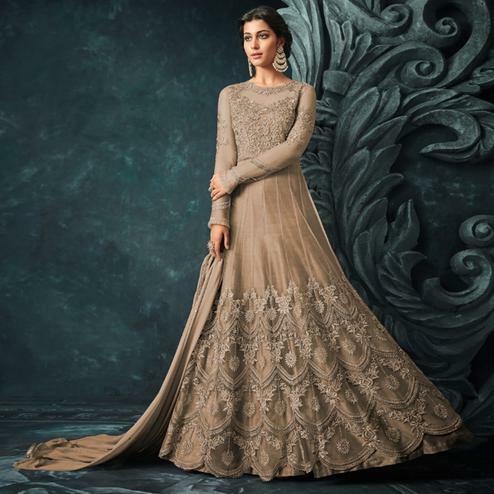 The incredible attire creates a dramatic canvas with extraordinary embroidered, lace, resham and zari work. Available with matching banglori silk fabric bottom and santoon lining with chiffon dupatta. Women can buy this ethnic dress to wear for their upcoming functions and occasions. Team it with ethnic accessories to make your looks more beautiful. Note:- The actual product may differ slightly in color and design from the one illustrated in the images.